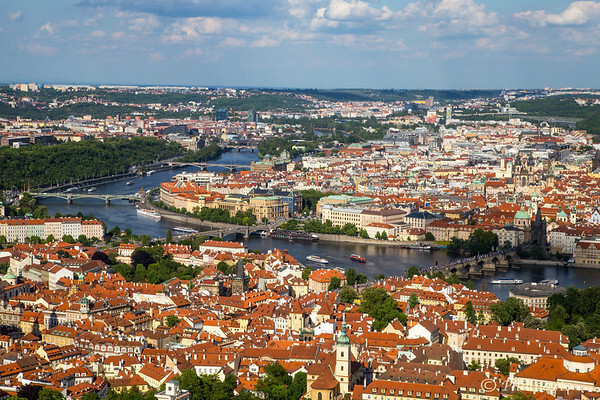 In the pedestrian friendly city of Prague in central Europe, bridges over river Vltava provide excellent opportunity for sightseeing. Historic Charles bridge in the foreground, one of just five bridges in this frame is among the most popular in all of Europe. Beautiful view of the city--all those red roofs. Postcard Perfect! What I Iove about Prague, the beautiful rooftops. Super pov...love all the red roofs!